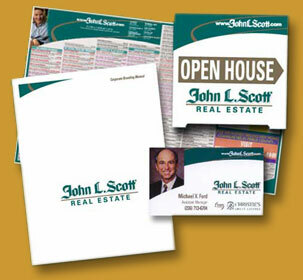 John L. Scott Real Estate required a complete identity revamp. In an ever-changing and fiercely competitive category, they needed to look unique. Changing their branding image mandated retaining the 70-year equity in their long-established name while updating their traditional look to jump off the page in each of their marketing executions such as TV, signage, Internet, newspaper, letterhead, business cards, forms and much more.